Sometimes you read a story that's so grim and strange at the same time, it puts things into stark relief. That's the feeling this leaves me with, at least — according to a report by The Independent, some North Korean officials were executed for watching soap operas from South Korea, a purge of 10 members of dictator Kim Jong-un's Worker's Party. The report cites the South Korean National Intelligence Service for the information, and claims that the ill-fated officials were executed publicly. If the report is true, this wouldn't come as much surprise — public executions are often reported by people who've managed to made it out of the hyper-repressive state, with regular killings throughout North Korea's network of prison camps. However, it'd nonetheless be a horrible and useful reminder of just how intense the level of control even officials of the North Korean state are placed under. This isn't even the first time there's been a soap opera-inspired purge reported. Quite the contrary, as NPR reports, it's believed that this recent slate of victims brings the total number of officials executed over South Korean soaps to 50. In North Korea, in simplest terms, TV is about as serious as it gets. It's worth noting that sometimes, sensational seeming stories that emerge from North Korea need to be met with a dose of skepticism. Like back in January, when it was widely reported that Kim Jong-un's uncle, Jang Song-taek, was killed by being devoured by 120 dogs. Subsequent reporting uncovered legitimate uncertainty as to the story's validity, and it was later contradicted by a North Korean ambassador (though Song-taek was killed, the ambassador said it was done by firing squad, not dogs). North Korea is likely the world's most isolated state, and no international media are allowed inside. The truth is, it's basically damn near impossible to verify things to the extent news agencies can in other parts of the world. Instead, information is generally either comes from the North Korean government's news and propaganda outlet, KCNA, or South Korean intelligence services. But that said, there's nothing within the history or well-reported present-day conditions of North Korea to leave any doubt about the prevalence of public executions, and the intense levels of political repression which citizens labor under. 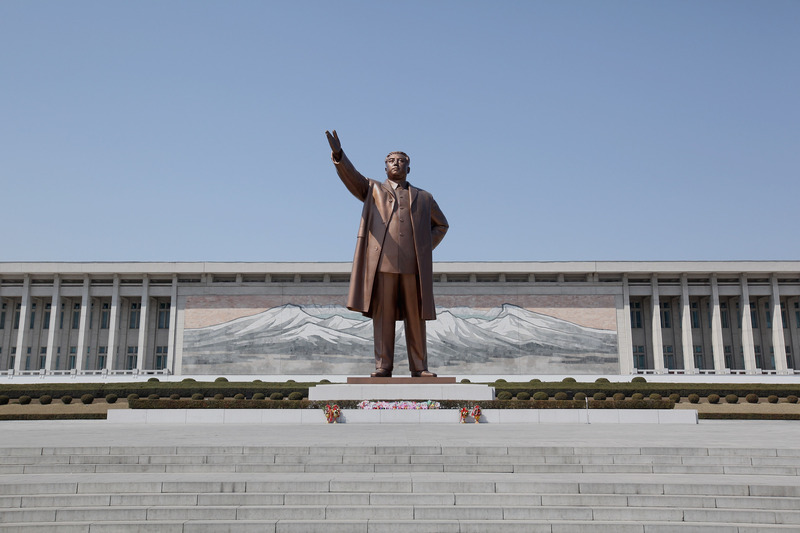 Back in February, a UN inquiry described the human rights violations in North Korea as reminiscent of the Nazis. As The Independent's report details, a North Korean defector who appeared in a documentary by Britian's Channel 4, using the pseudonym Mr. Chung, detailed how he smuggled forbidden foreign media into the country. The men prefer watching action films. Men love their action films! I sent them Skyfall recently. The women enjoy watching soap operas and dramas. The more people are exposed to such media the more likely they are to become disillusioned with the regime and start wanting to live differently. That may have been the logic, if you can even call it that, which motivated the executions of these soap opera-loving, former Worker's Party loyalists: trying to keep people from becoming intrigued by art or popular culture originating from outside North Korea. It's a particularly glaring hypocrisy, given the perks of being on top of the regime — the late former dictator Kim Jong-il reportedly had a personal film collection spanning over 20,000 titles.